UMP | University of Minnesota Press Blog: Notes from a reluctant memoirist. 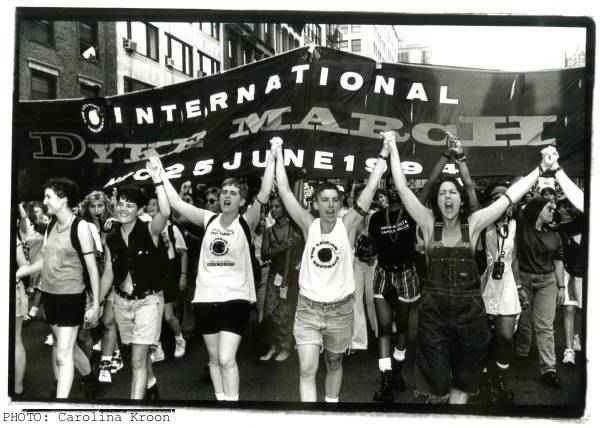 The second annual Dyke March goes international on June 25, 1994. More photos in the Lesbian Avengers image archive. I didn't mean to write a memoir. I'd been documenting the Lesbian Avengers for a couple of years already, and thought I'd pitch a popular history, just get the facts out there. I'd been shocked at how little people knew, even though we'd had sixty chapters across the world, and gotten tens of thousands of people in the street. But popular histories about lesbians are still unpopular, and when one gay editor lamented, "If only it were a memoir… I would have snatched it up," I decided to give it a try. It was harder than I had thought. I've always played around with autobiography, spilling my guts in poems, or ripping off gonzo journalist Hunter Thompson. But this was much more intense, like that dream when you get caught half naked in a stadium full of people. Except in a memoir, if you do it right, you're not just exposed to the public, but to yourself, too. I tried to write pretending no one would read it. That's how I usually do my columns. No readers. No hate mail. No self-censorship. You can pursue any train of thought you want. Unfortunately, writing a book takes so much longer that the trick doesn't always work. My own brain would start in with the doubt and snide comments. During rewrites, especially, I was tempted to clean up the things that would make me look bad, instead of just showing my flawed self, and throwing myself on the mercy of the reader. The worst part, though, was trying to figure out an ending to the book, and what it all meant. It was a memoir, after all. 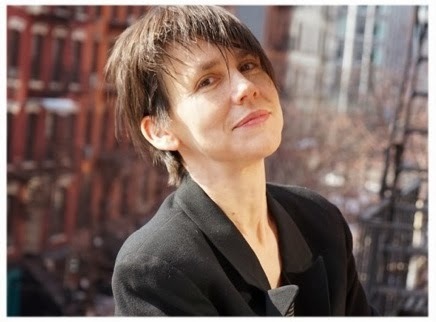 Mary Karr had the good sense to finish her childhood before she wrote about it in The Liars' Club. I was essentially writing the story standing in the middle of it, all the bits and pieces up in the air, not knowing where they would fall. Every time I wrote another draft, I'd change the ending, depending on how things were going in my own life. Or what was happening to queer people. Some of the versions were absolutely dire when I felt all those years of activism were a waste. And what did I have to show for it? But one of the great things about writing a memoir, especially in book-length form, is that the process itself forces you to look at things as a whole, not just a series of events with each one getting weighed on a scale of success or failure. Every now and then I'd think about that Audre Lorde poem where she declares she was never meant to survive. So maybe for some of us, persistence and survival are reason enough to declare victory. Writing this memoir transformed how I saw my life. Especially regarding the Lesbian Avengers, which for me had ended traumatically. Following their trajectory, putting things in context, let me recognize just how amazing it was they existed at all. My vision of the book itself changed when I realized the potential of what I was doing. I wasn't just serving up juicy bits of my personal life to get something published about the Avengers; I was writing History with a capital "H."
Until then, I'd often dismissed the whole genre of memoir because it tends to be swamped with annoying tell-alls. In fact, it has radical potential. Imagine. The world does everything to force us into tidy little boxes, but in memoir you're writing about your own life from your own point of view. Its meaning and size is up to you. If you want to, why not sneak yourself into the bigger stories of your world? Anybody can be an archetypical figure. A hero. Why should it always be some John Wayne and not a Lesbian Avenger? At some point I remembered how in the movie, Forrest Gump was photo-shopped into all those famous historical scenes with JFK or whoever, and I thought it wasn't entirely a joke, because half the people in the Big Picture are only there because their friends are the ones recording history, or stage managing it. Memoir gives us a chance to do it for ourselves. So in the same way I claimed Fifth Avenue as an activist, I decided to insert my life, my lesbian life, into the bigger narrative of America. I started with the Avengers, putting them into the story of U.S. culture wars of the 1990s. And after that I slipped us dykes into the emerging story of new media. Then the history of the Bush years, and 9/11. It was a way to unravel the threads of citizenship, and our relationships as individuals to all this stuff swirling around us. I could do all that because I was the one telling the tale. Now, after a reluctant beginning, what can I say, but "Long live the memoir!" Kelly Cogswell is an independent journalist and blogger. 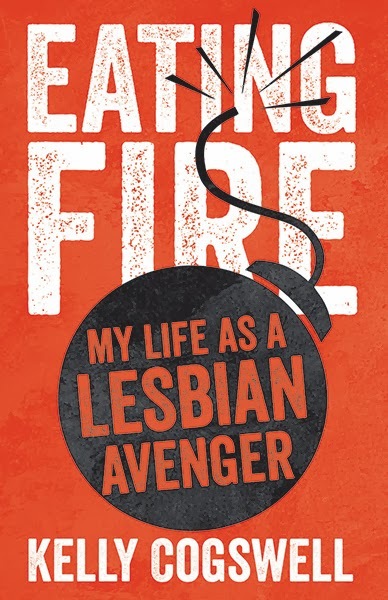 She is author of Eating Fire: My Life as a Lesbian Avenger.